GC&E has the experience, expertise, and network certified personnel to ensure our customers IP-based video solutions are properly installed and adhere to manufacturer specified and IT industry standards and practices. Our Video Surveillance Solutions can be configured for cloud or local storage and management or as server-based DVR solutions. Most systems allow secure, remote systems monitoring and camera control from any type of device with internet connectivity. GC&E is a leading integrator of IP Cameras and is a full-service IP Camera solutions provider and elite partner with some of the industry's leading manufacturers. We offer our customers an exceptional selection of top quality Internet Protocol (IP) Camera Solutions from the nation's top manufacturers. Our partnerships with top manufactures demonstrates our commitment to providing you reliable technologies as well as expertise and experience in engineering, furnishing, installing, operating and maintaining their systems. Our qualified SME's operate within industry best practices and maintain system specific certifications. We offer a wide variety of solutions that are tailored to the type of environment for which they are being provisioned. We have experience in the installation and programming of all types of camera technologies, including Mega Pixel, IR, and Thermal. We provide open IP Video security system solutions with personalized customer service and dependable service plans to meet your requirements. We actively consult with our clients to ensure recommended solutions are on-budget, scalable, and perform to expectations. We also offer conversion options to be able to utilize your existing analog and IP cameras. Video management systems and software provide the functionality to allow video monitoring, analysis, and recording. A wide range of software is available to accomplish the goals and objectives established for their system. A standard Web browser provides adequate viewing for many network video applications by utilizing the Web interface built into the network camera or video server. To view several cameras at the same time, dedicated video management software is required. A wide range of video management software is available. In its simplest form, it offers live viewing, storing and retrieving of video sequences. GC&E partners with reputable providers to offer interactive and reliable video management systems. We offer application system consultation, design, operation and maintenance of demanding applications to small, mid-size, and large scale businesses. The systems we provide are unique to your needs and require seamless management of digital video, audio and data across most IP networks. Key frame detection triggering movement-based recording to ensure that all actionable events are recorded while minimizing storage space required. 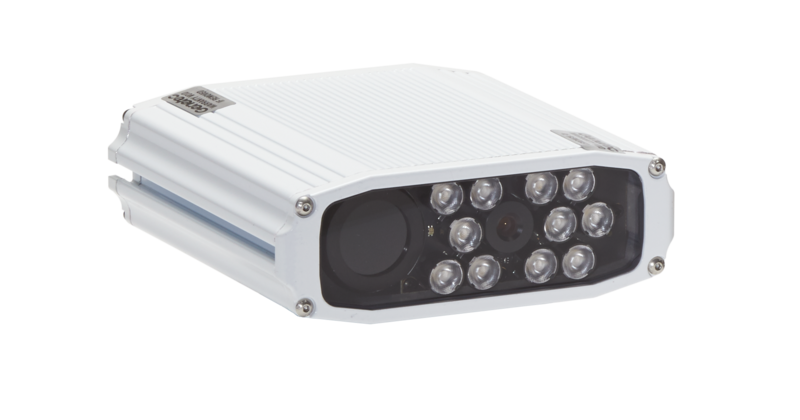 GC&E is a proud partner of Genetec and offers their full line of license plate recognition (LPR) camera solutions. The Genetec SharpX is an IP-based automatic license plate recognition (ALPR) camera of the AutoVu system. Designed for the most demanding situations, the SharpX provides high license plate capture and read rates in mobile deployments. The SharpX helps public safety agencies and private organizations locate vehicles of interest and enforce parking bylaws. Combined with the AutoVu robust feature set, the SharpX can compare scanned vehicles to lists of wanted vehicles, parking permit owners or employees, and automatically notify operators of situations requiring their intervention. Utility, Inc. provides law enforcement officers with an intuitive platform for effectively capturing, managing and releasing video evidence. Utility's BodyWorn™ camera and Rocket IoT™ in-car video system incorporate real-time communications, policy-based automatic recording functionality, and real-time GPS positioning for the best situational awareness possible during critical times. Designed with the officer in mind, BodyWorn's intelligent features include officer down reporting and alerting, gunshot detection, holster activation, foot pursuit activation, live video streaming, and secure automatic wireless offload of media evidence. Meanwhile, it's AVaiL Web™ cloud-based digital evidence management solution securely stores captured evidence and offers Smart Redaction™ - the only automatic video redaction software on the market today.